What should be the main purpose for short-term trips? The main purpose is to spread the Gospel, while giving the body of Christ the opportunity to experience missions ministry and to give much needed support to full-time missionaries. Short-term trips are like a turbo booster in missions ministry. Through the team, there is a concentrated group of people, giftings, energy, resources, anointing and excitement that comes together to either engage a new unreached community or help an existing work go to the next level through relief and development work or training and personal ministry. Short-term trips give the people being ministered to a larger perspective of the Gospel and can be a great source of encouragement to the field missionary, lifting the missions work to a whole new level. Where do you go on a short-term trip? Does taking a short-term trip prepare me to be a full-time missionary on the field? Should there be a screening process on who can go on a short-term trip? Should mission funds be spent on sending our teens on short-term missions trips? What do you do on a short-term trip? How do I get involved? I want to do this. I’ve always wanted to this. I have always felt an innate responsibility to help others. What should happen in a missions conference? Is having a Missions Sunday each month important? How much should a church support their missionaries? 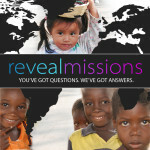 The Reveal Missions website is made available as a resource. It is our heart to equip you with answers to questions you might have and to start you on the path of giving, going and sending to the work of missions around the world. 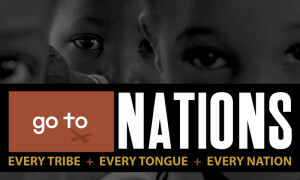 Reveal Missions is sponsored by Go To Nations. Please visit our www.gotonations.org to pursue next steps or for more information. * copy and paste the above code to your website. Copyright © 2019 Reveal Missions. All Rights Reserved.